I’ve always wanted a bike with an attached sleeping coffin. 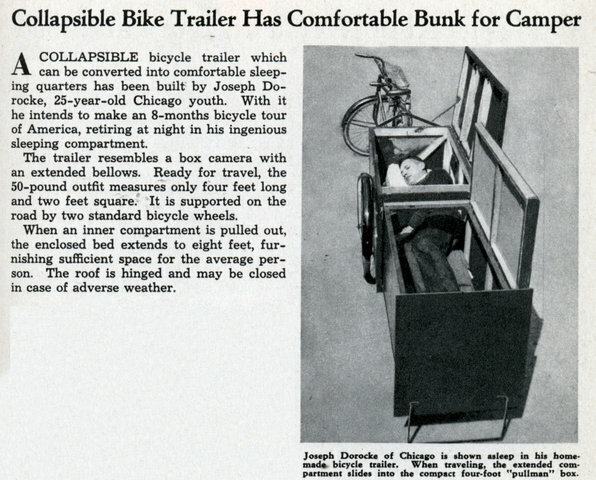 A COLLAPSIBLE bicycle trailer which can be converted into comfortable sleeping quarters has been built by Joseph Do-rocke, 25-year-old Chicago youth. With it he intends to make an 8-months bicycle tour of America, retiring at night in his ingenious sleeping compartment. 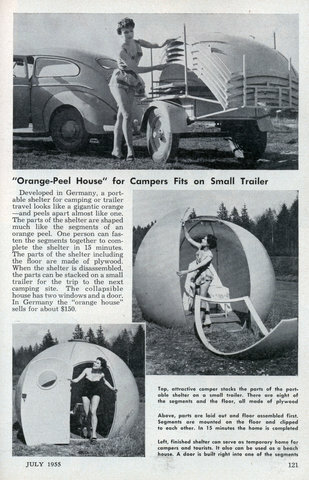 Developed in Germany, a portable shelter for camping or trailer travel looks like a gigantic orange â€”and peels apart almost like one. The parts of the shelter are shaped much like the segments of an orange peel. One person can fasten the segments together to complete the shelter in 15 minutes. The parts of the shelter including the floor are made of plywood. 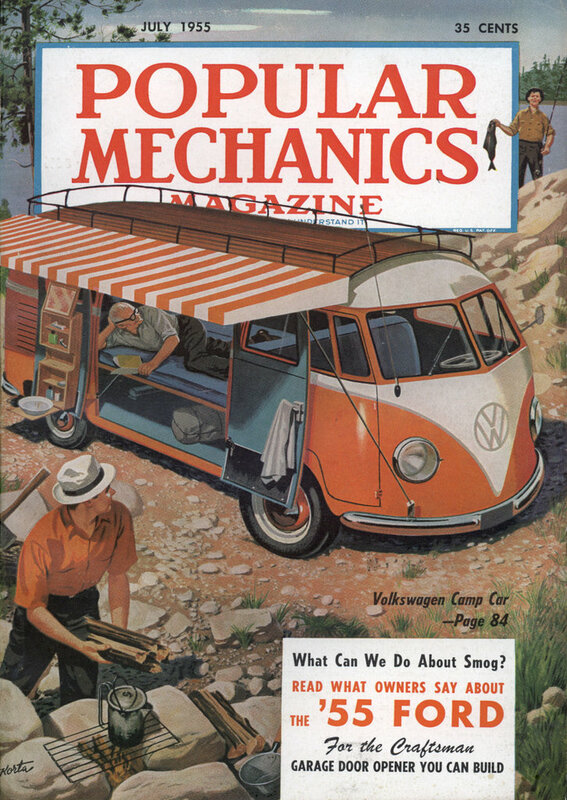 When the shelter is disassembled, the parts can be stacked on a small trailer for the trip to the next camping site. 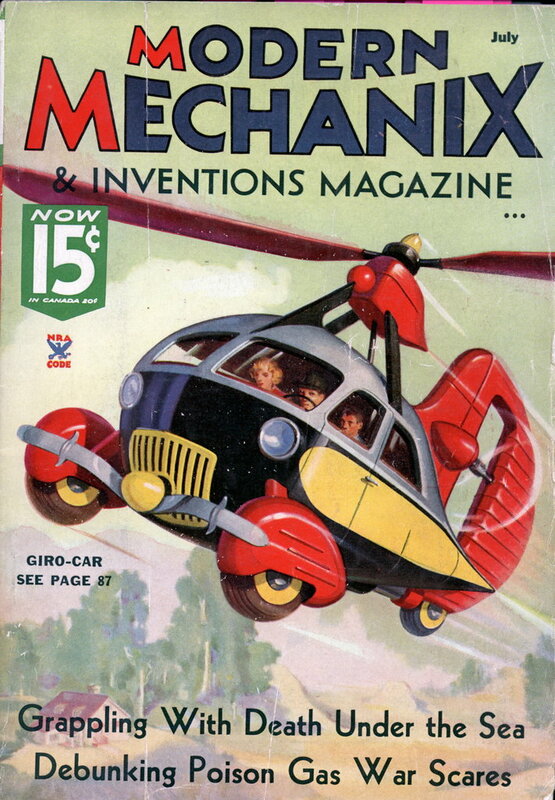 The collapsible house has two windows and a door. In Germany the “orange house” sells for about $150.